With Wiggly Eyes that bounce when you bounce. 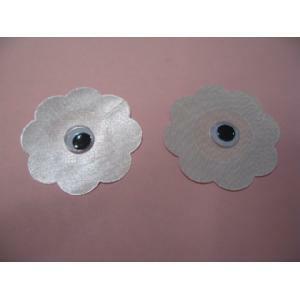 Self adhesive for a smooth look with or without your bra thin satin material conceals while the flower shape contours to the breast. Gives a new meaning to your headlights on...they are high beam all the time!